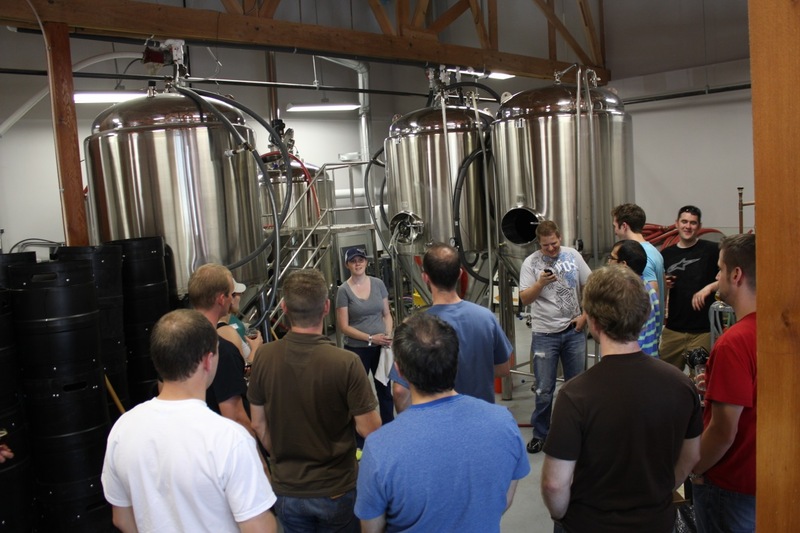 The next stop on our day of new Denver micros was Renegade Brewing. 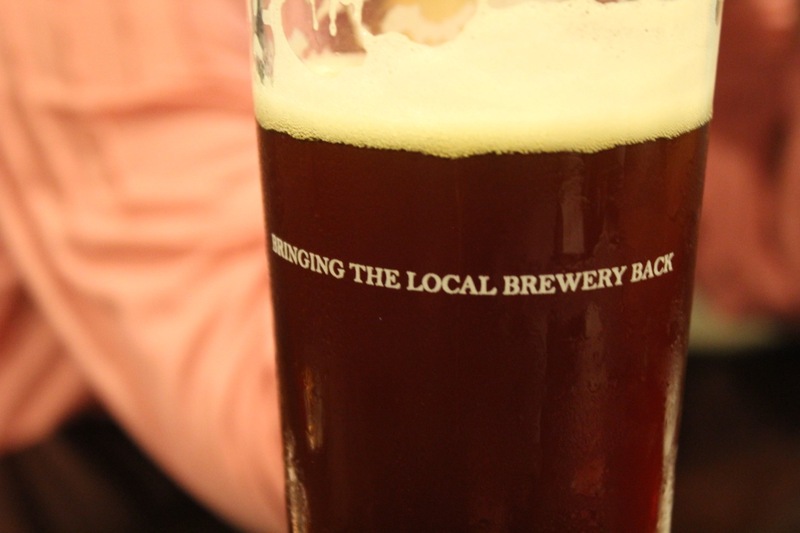 We had a few of Renegades beers at our Watercourse beer dinner and were not that impressed which made this stop even more surprising and fun. 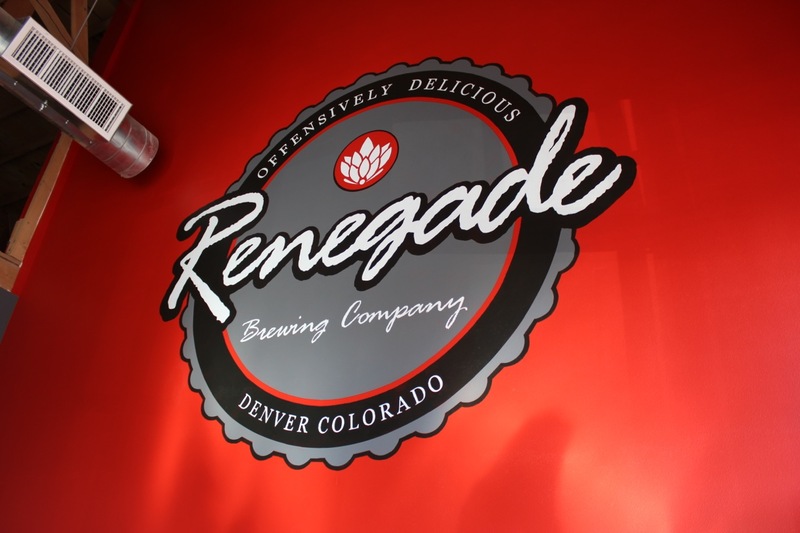 Renegade is a not so little brewery and tap-room just off a main street only a few blocks from downtown Denver. But when you walk in it feels like it is just a neighborhood hangout. Like Denver Beer Co it’s got a roll up glass door that was up letting in lots of fresh air and light, high ceilings, a beautiful bar and it just felt very welcoming. We headed up to the bar and ordered a sample of a few beers that we didn’t try the previous night. They were all excellent. We ordered a few that we had tried a few nights before, they were all much better. I can’t really guess what happened to the beers between the brewery and the restaurant but they were not a great example of Renegades quality, these guys are making great beers. 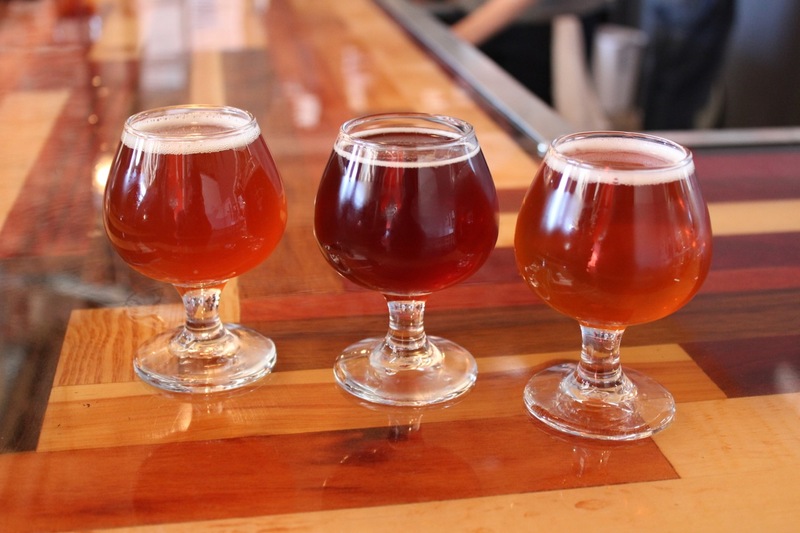 A few of our favorites were the Sunday Morning Strong, the Ryeteous Rye IPA and the 5 O’Clock Blonde Ale. The Sunday Morning Strong is the most unique coffee beer I’ve had since my first coffee ale. It’s a strong ale with a beautiful color that has the coffee added to secondary and cold soaked. 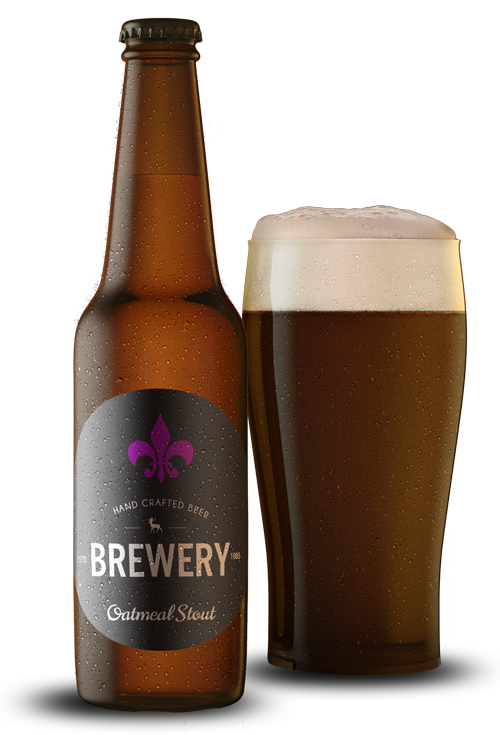 It adds a delicious subtle coffee presence and balances nicely with the 6.8% strong ale. The Ryeteous Rye IPA was Eryn’s favorite. It’s got a big piny hop smell with a hoppy but not overly bitter hop taste balanced with a great rye flavor. It’s a very nice IPA that’s easy to enjoy. Finally the 5 O’Clock Blonde was a medium bodied slightly yeasty blonde ale that’s medium dry with just enough hops to encourage another sip. It’s got a great honey aftertaste and was a perfect summers day ale. We hung out at the bar for a while before everyone was invited into the back for a tour of the new facility. They have a ton of space with a very high ceiling which will give them plenty of room to grow. 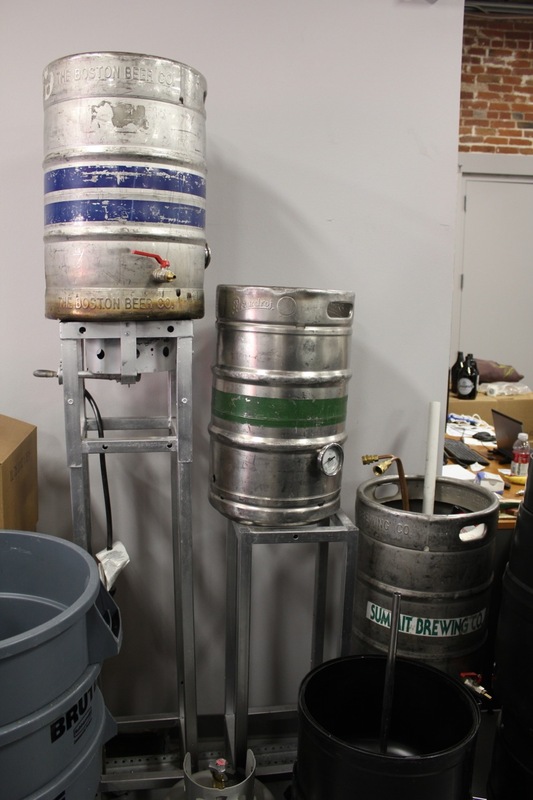 I was looking around when I spotted their old three keg pilot system. 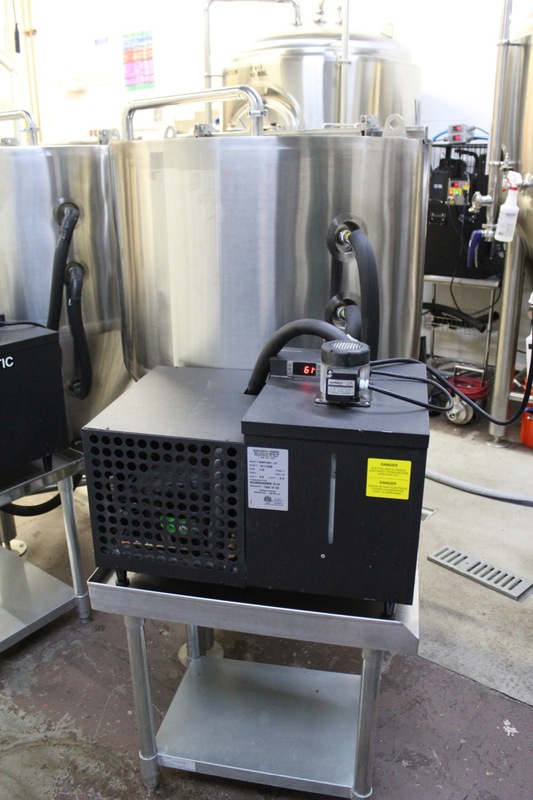 It’s pretty similar to what Eryn and I are currently building for our brewing needs and fun to think about how these guys were home brewers before deciding to go pro. We ended up hanging out at Renegade for almost three hours, tasting through the beers, meeting up with people and just enjoying the gorgeous space they’ve created. Later in the evening we took my brother and his girlfriend out to the fourth and final new brewery of the day, Copper Kettle. 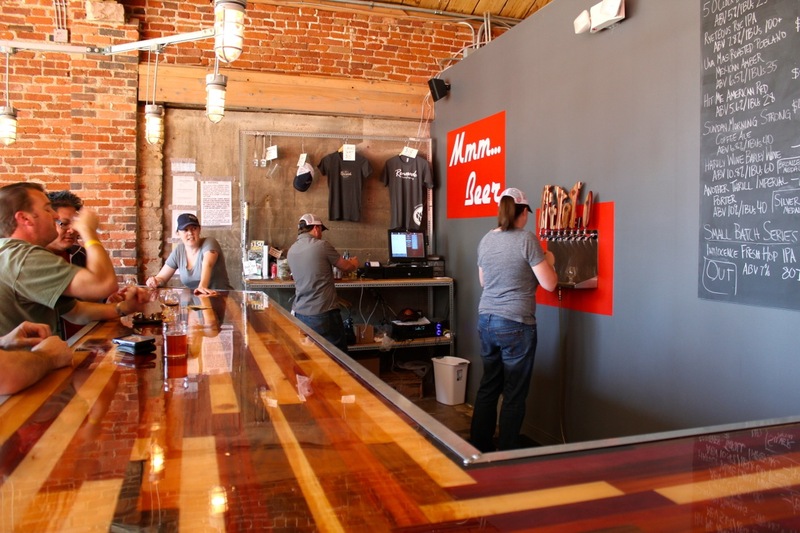 The brewery is a ways outside of the downtown Denver in a more suburb like area. It’s in an industrial park and you really need to know where you are going to find it but it’s well worth the effort once you do. 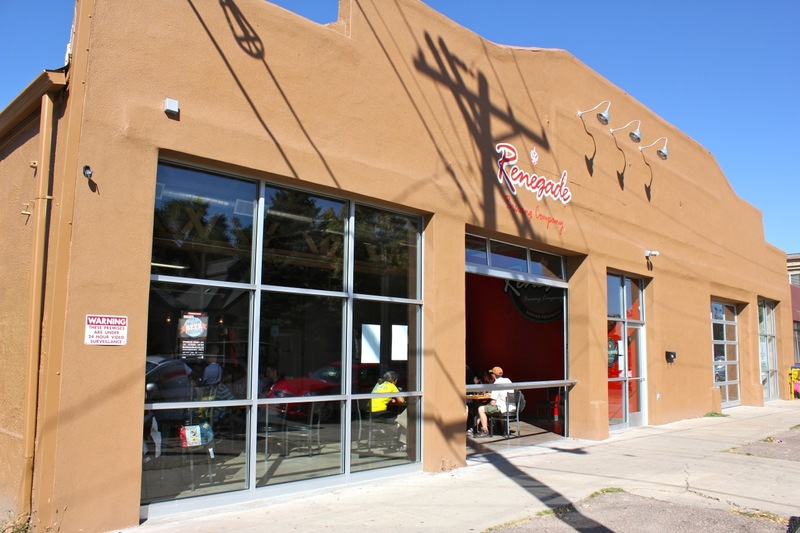 When I walked in I was struck by one thing, it felt more like a neighborhood coffee shop than a brewery. The lights were dimmed but not terribly, there were only a couple of TV’s with the local ballgame on, and there were people everywhere laughing, chatting, and just having a great time. We found a table in the middle of the tap house and settled in. 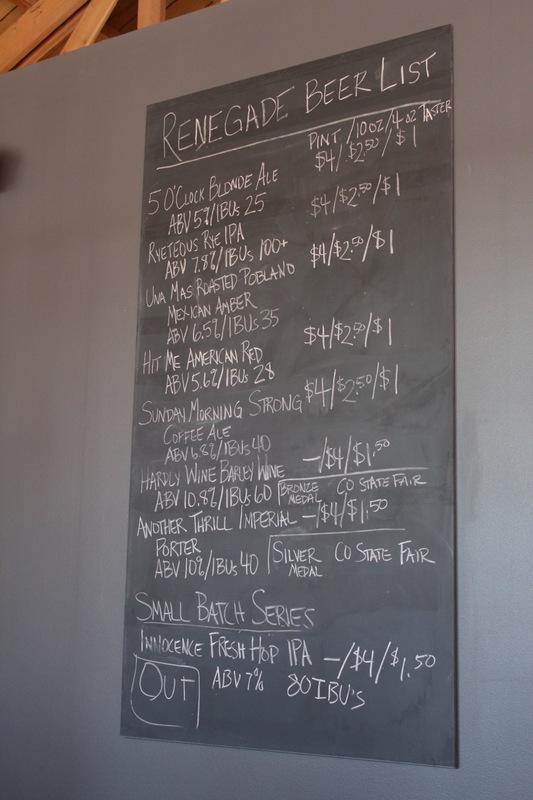 Copper Kettle is brewing some great session beers and everything we had was easy to drink and very enjoyable. 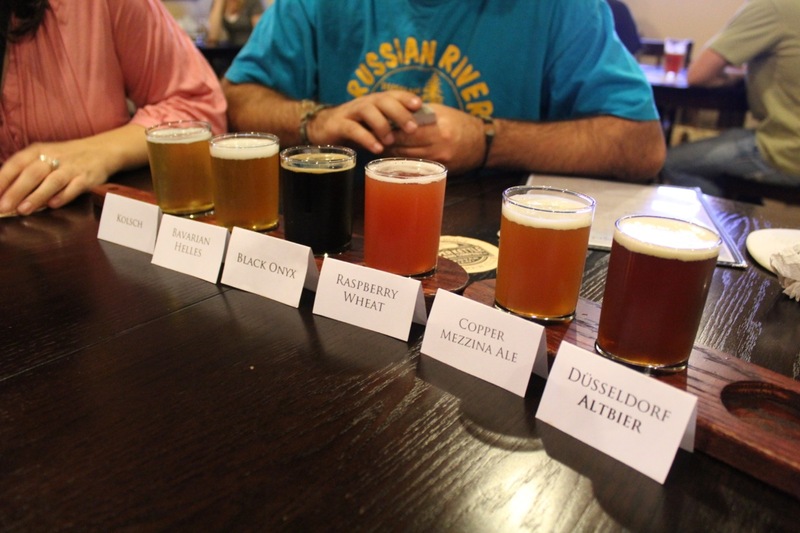 Our favorites were the Black Onyx, Bavarian Helles and a Raspberry Wheat. The Black Onyx has a nice roasted, toasted bread, smell with a bitter caramel and chocolate flavor that is light and well balanced. It was a very easy drinking dark beer and at 5% very sessionable. The Bavarian Helles has a great buttery and grain nose, with a nice malty buttery medium dry flavor. Finally the Raspberry Wheat is a great berry beer with a big berry nose and nice berry flavor. It’s got high carbonation and a lingering berry finish that seemed to go on forever. We were a little disappointed that they didn’t have their Mexican Chocolate Stout on tap but I imagine it’s just as good as all the other beers. We hung out for a couple of hours having a few beers, playing cards that were provided at the table, and just enjoying the atmosphere at Copper Kettle. Their slogan is “Bringing back the neighborhood brewery” and at least in this neighborhood they certainly are. 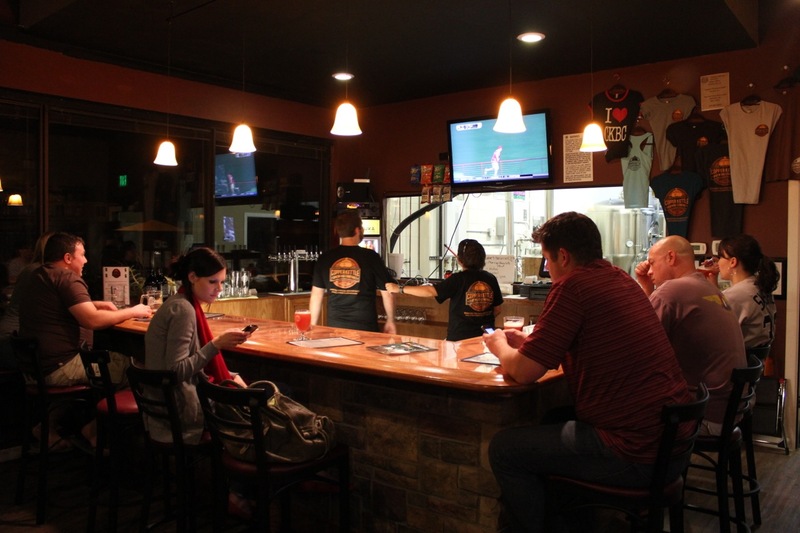 The place is a social gathering spot, it felt fun, it’s really pretty unlike any other brewery I’ve ever been too. They even have a list of menus of local restaurants that do take out so you can order a pizza or Chinese or sandwiches and enjoy them with your beer. 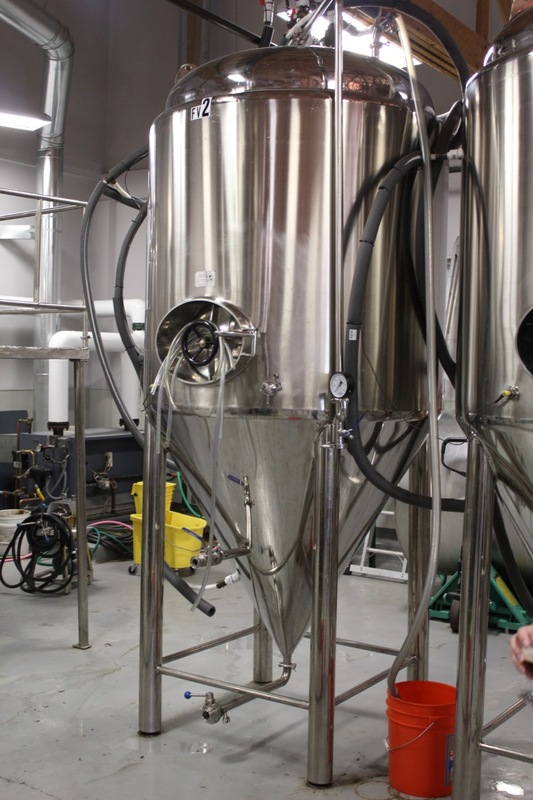 At one point I was trying to sneak a peek at the brewing facility when one of that staff saw me and invited me back for a short tour. 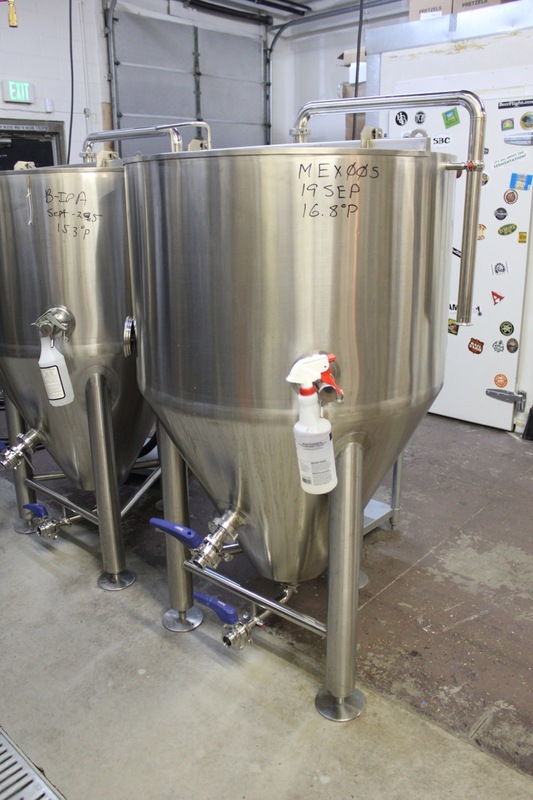 He lifted fermentation lids so I could take a quick sniff and told me a bit more about their system. I think Copper Kettle is really onto something with their focus on being a neighborhood brewery plus their awesome service, great atmosphere and solid session beers. I really look forward to coming back out to see how things go for them. 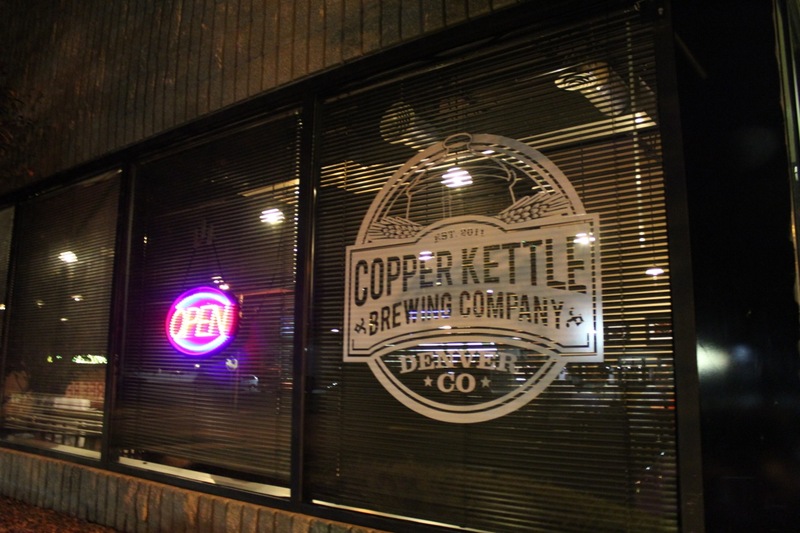 Update – We came back to Copper Kettle just before our flight out of Denver. We were very warmly greeted by Justin, the same guy who had previously given me the short tour, who spent a good deal of time talking to us. We also got to taste the Mexican Chocolate Stout which just won gold at the GABF. It tasted like Mexican hot chocolate in a beer, it’s amazing. 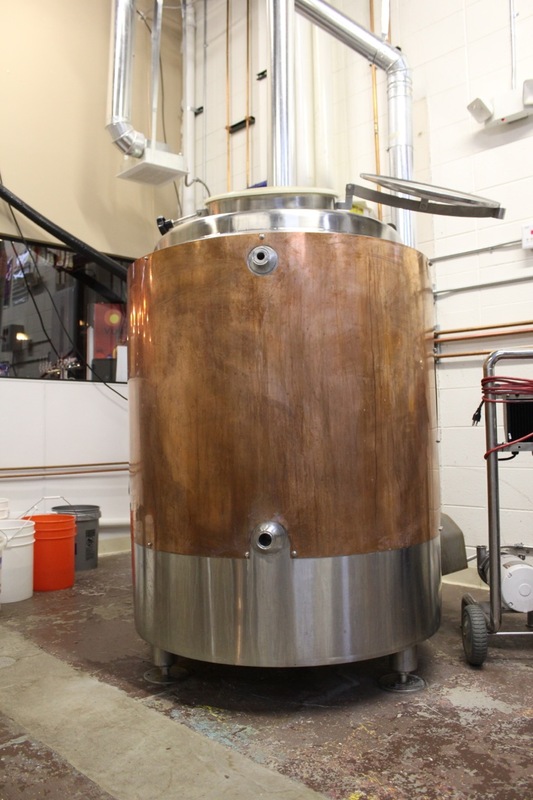 I’m still taken with Copper Kettle and what they are building. Thanks for the excellent review. It was great meeting you guys and now reading your blog! The photos look great, much better than from behind the bungie. Thank you Justin! We had a great time at Copper Kettle. Would love to do a little video featurette on you guys next time I’m out that way. 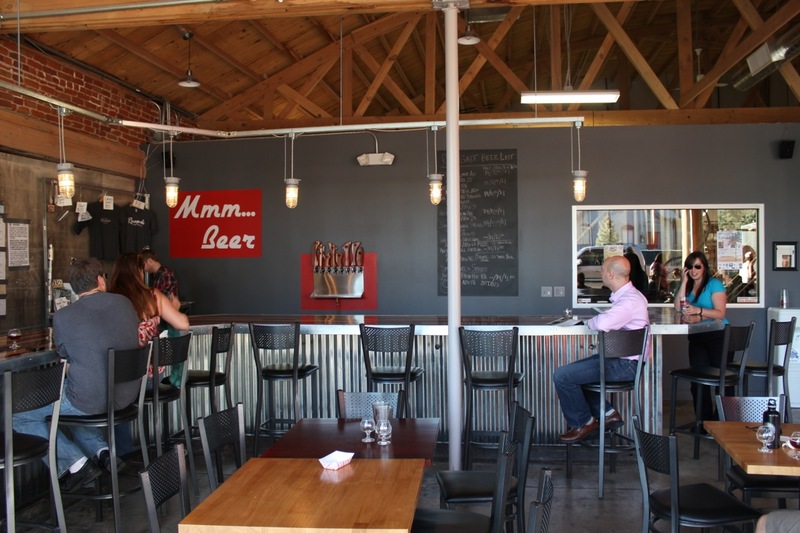 Its awesome that you went to so many tiny breweries while out there. 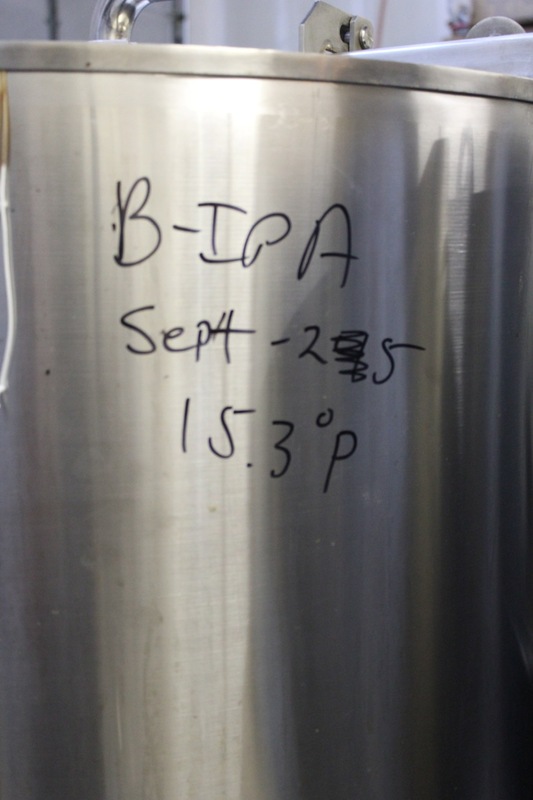 This series is better than most of the other GABF blog posts out there, something more unique and inspiring. did you get any sage like advice from any of these guys/ gals ? Thanks! It was great to visit the little guys and see what they are up to. 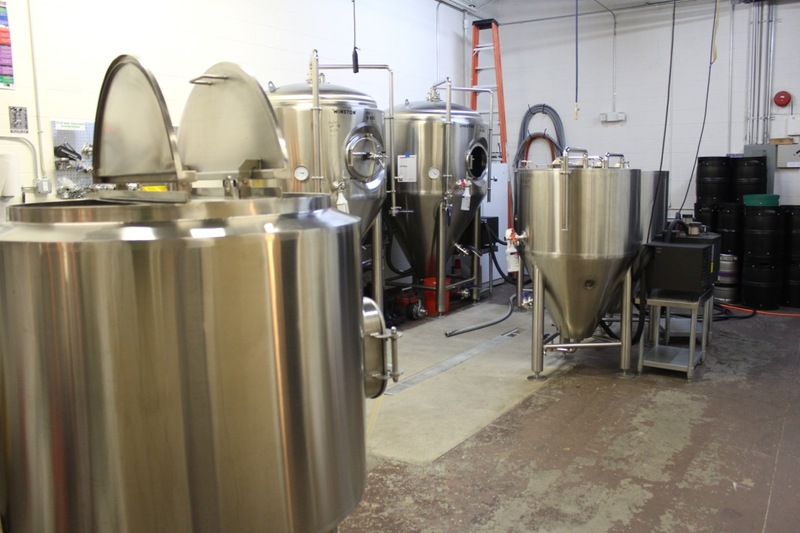 Denver is such an awesome place for these nano and microbreweries. I didn’t get any advice this trip, they were all pretty slammed by the GABF onslaught, but I’m planning on heading back out soon so hopefully I can maybe do some interviews and videos then.